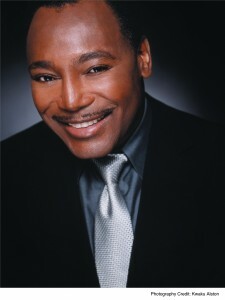 Ten-time Grammy® Award winner George Benson will take center stage at the fourth annual GENERATIONS, a Nat King Cole Generation Hope Inc. concert benefit to raise funds for music education on Saturday, April 25, 2015 at the Seminole Casino Coconut Creek. The GENERATIONS Concert begins at 6:30 p.m. with a reception featuring music performed by students from the Nat King Cole Generation Hope Summers Strings Camp and the Guitars Over Guns Operation After-School Program plus a bountiful silent auction with proceeds benefiting Nat King Cole Generation Hope. At 8:00 p.m. the attendees will enjoy music from talented local youth artists followed by the performance by headliner George Benson. Recognized as one of the greatest guitarists in jazz history and a remarkably versatile musician and entertainer, George Benson’s Grammy Award honors began with a trifecta in 1976 with “This Masquerade” as Record of the Year, “Breezin’” as the Best Pop Instrumental Performance and the theme from Good King Bad as the Best Rhythm & Blues Instrumental Performance. These were followed by more Grammy recognition with “On Broadway” as Best R&B Vocal Performance, Male in 1978, another trifecta in 1980 with “Give Me The Night” as Best R& B Vocal Performance, Male, “Off Broadway” as Best R&B Instrumental Performance and “Moody’s Mood” as Best Jazz Vocal Performance. Most recently, Benson released Inspiration: A Tribute to Nat King Cole in 2013 featuring arrangements by Nelson Riddle and Randy Waldman, making him the perfect headliner choice to for the GENERATIONS Concert. Twin daughters of music legend Nat King Cole, Timolin and Casey Cole of Boca Raton, launched Nat King Cole Generation Hope, Inc. in 2008 to honor the legacy, music and life of their father Nat King Cole after learning of budget cuts in public schools directly affecting the arts. Since that time, donations in excess of $750,000 have benefited thousands of children with “the greatest need and fewest resources” in Miami-Dade, Broward and Palm Beach counties. It supplies instruments, underwrites after-care programs, supports mentoring programs, funds instruction and collects used instruments and refurbishes them. Funds from the 2014 GENERATIONS Concert emboldened the nonprofit to expand its reach to fund the needs of the Florida Youth Orchestra, New World Symphony, Art Culture Center of Hollywood, Fla. and Willie Mae Rock Camp for Girls in New York. Earlier this year Nat King Cole Generation Hope’s Board of Directors saw that the vision and mission of the burgeoning VH1 Save the Music Program as being well aligned with that of their nonprofit, and thus joined as a patron in its Leadership Circle to sponsor the Keys + Kids Program through funds raised at GENERATIONS 2015. VH1 Save The Music launched the program two years ago with Ambassador Sara Bareilles in response to the growing need for high-quality, functional pianos in public schools and to provide even more students with a safe and inclusive community to be outstanding through the arts. Keys + Kids grant winners receive a package valued at $10,000 worth of equipment to support their music and arts program. A percentage of proceeds will also continue to underwrite the Nat and Maria Cole Memorial Scholarship that is given to a deserving high school senior who has chosen to major in music in college as well as the Nat King Cole Generation Hope Summer Strings program at Lynn University which provides intensive string instruction for up to 100 children with the greatest need and fewest resources each year. VIP tickets priced at $250 include premier seating, open bar at the pre-concert reception, a private meet-and greet and post-event dessert reception; Donor tickets priced at $150 include priority seating and open bar at the pre-concert reception; and General Admission tickets priced at $75 with cash bar at pre-concert reception are available. Self-park complimentary or valet available ($10). GENERATIONS Concert is sponsored by NCCI, Florida Power & Light, Florida Public Utilities, West Boca Medical Center and CBM of America; media sponsors include Life Publications and LivingFLA.com; partners include Seminole Casino Coconut Creek, Boca Raton Marriott at Boca Center, Dawn of Design Graphic Studio and Kaye Communications, Inc. The mission of Nat King Cole Generation Hope, Inc., a 501(c)(3) non-profit organization, is to provide music education to children with the greatest need and fewest resources by funding programs that provide for instruction, mentoring and resources. To purchase benefit concert tickets visit natkingcolegenhope.org/concert or ticketmaster.com. For more information on Nat King Cole Generation Hope, Inc., call 561-213-8209 or email info@natkingcolegenhope.org.